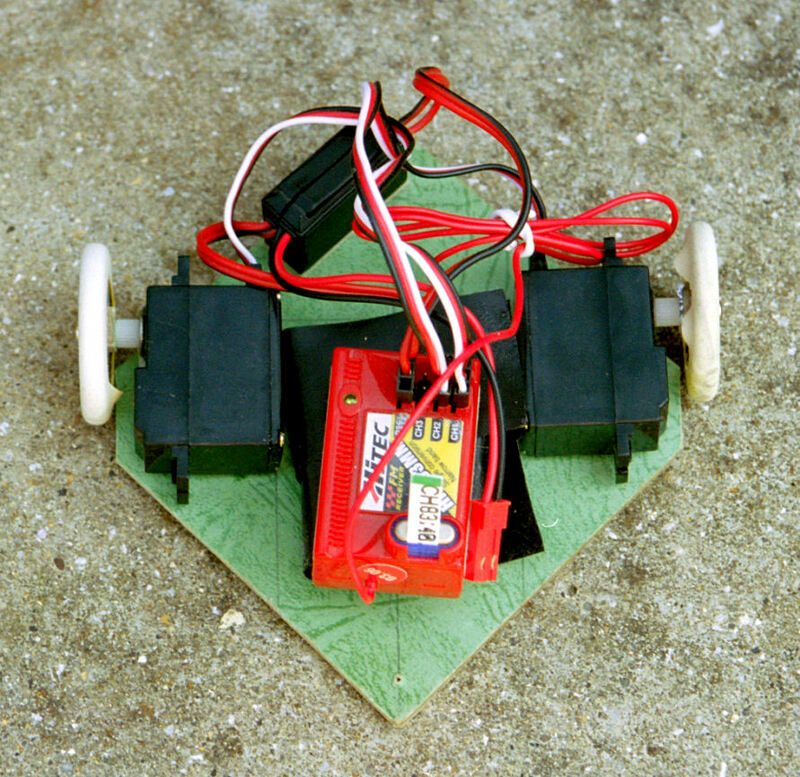 Our first Antweight, completed in 2004 and now retired. Armed with a crusher and driven by two SD200 servos, it probably wouldn't last long today! 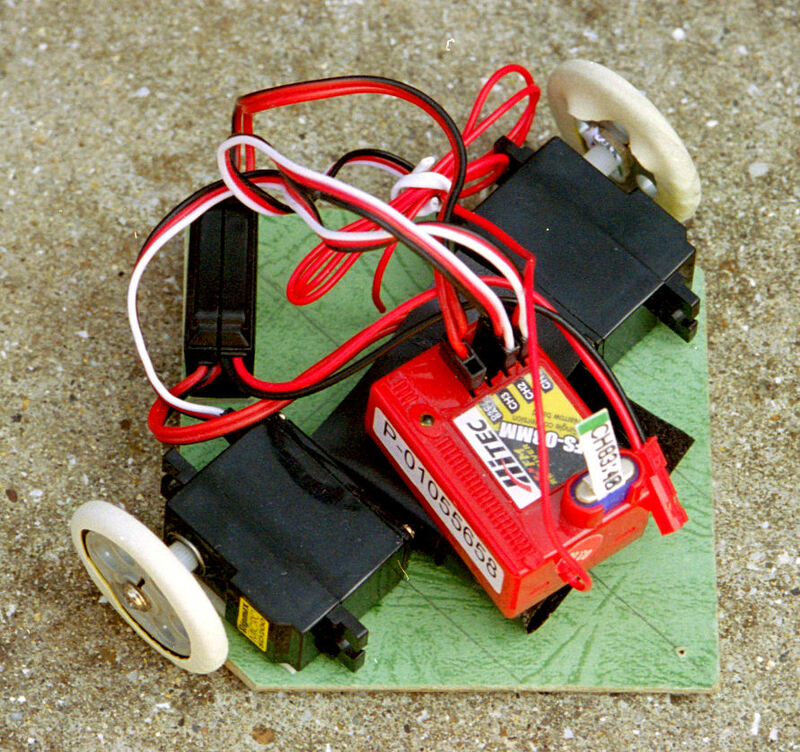 Back in 2003, I decided that I wanted to build a robot of my own. 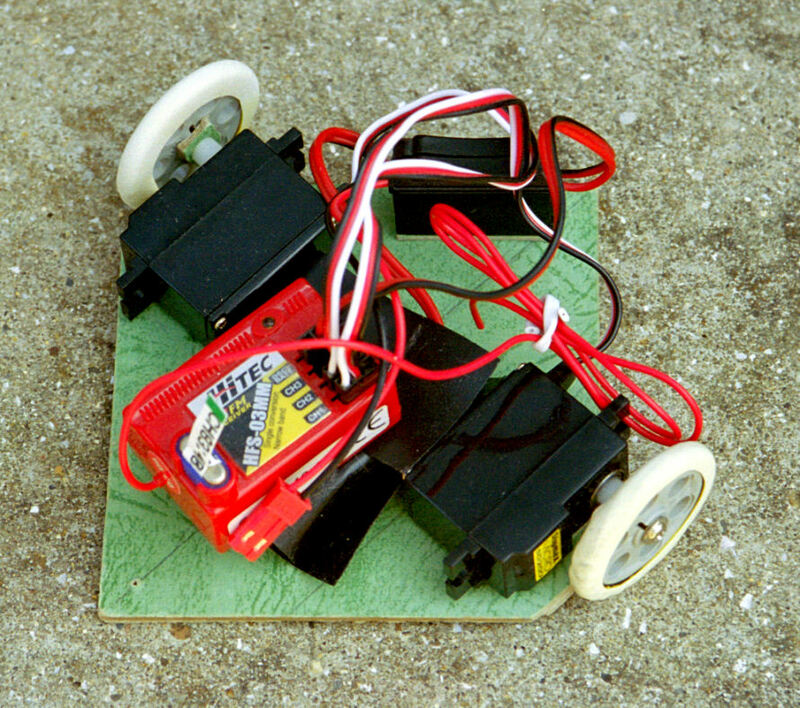 Having seen the Antweights compete in both Robot Wars Extreme 1 and 2, they seemed like a good option for a beginner. I did some research and came across Robotwars101.org (or RW101.com as it was at the time). Their Ant Shop offered a beginners kit for £165, which I received as a Christmas present later that year. Bobblebot was built throughout 2004, however the crusher was not added until later. Weapon - A crusher powered by HS-55 servo, again modified for 360 degree rotation. Here are pictures of Bobblebot from 2003, if you want a larger, more detailed picture click on the thumbnails below to view a bigger version. The picture above shows Bobblebot in its completed state, while these were taken during its construction, before the weapon was added. Here you can see the big red receiver and servos very clearly. As above, only from the other side. 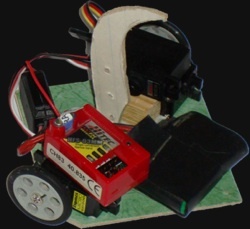 Front head-on view, showing receiver, switch, servos, batteries and the rubber glove tyres.